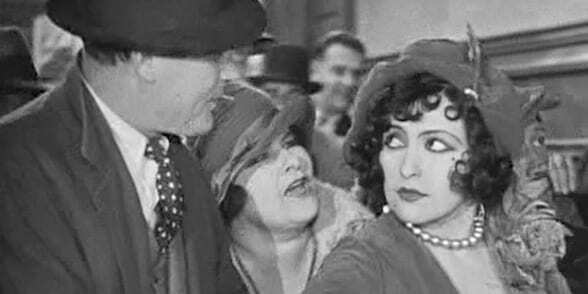 SPECIAL EVENT: Chicago (1927) - Slapstick | Bristol's Silent Comedy Festival. Starring Phyllis Haver in an understated comic appearance, this is the original version of the subsequent global musical and Hollywood film Chicago. Based on a true crime story- a wild jazz-loving boozy wife Roxie Hart kills her boyfriend in cold blood after he leaves her. Entangling her ever-loving husband in the process the film tells how and to what lengths she is willing to go to escape conviction. With live musical accompaniment by the European Silent Screen Virtuosi featuring Guenter A .Buchwald, Frank Bockius and Romano Todesco. Also with guest performers including Bristol Ensemble’s Roger Huckle and triple Oscar © winning animator Richard Williams on Cornet, as well as guest musicians, Paul Munnery on trombone and Geoff Matthews on clarinet and saxaphone. Introduced by actor, comedian and Slapstick Festival patron, Denise Coffey. Tickets for this event available ONLY from Watershed box office or website.